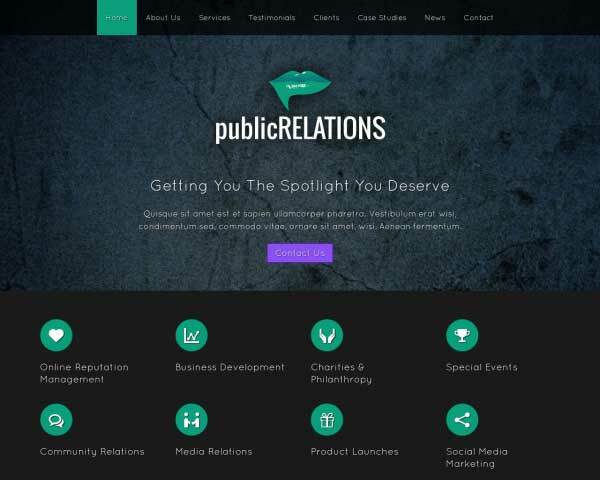 Promoting your business through a professional website built with the SEO Company WordPress Theme means that you'll reach more people who can benefit from your services. 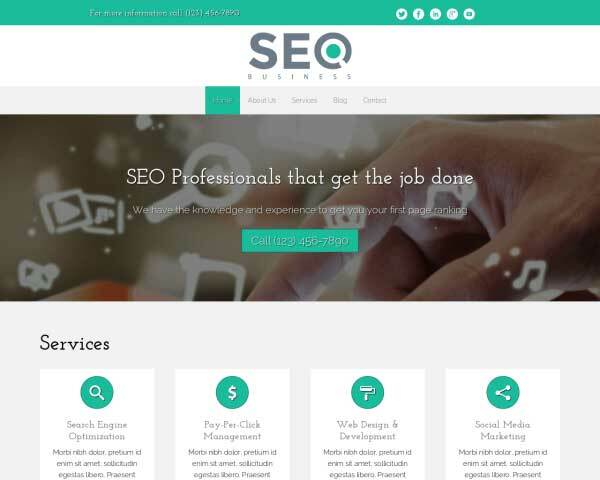 Just add your own text and photos to this pre-built WordPress theme ideal for seo experts. 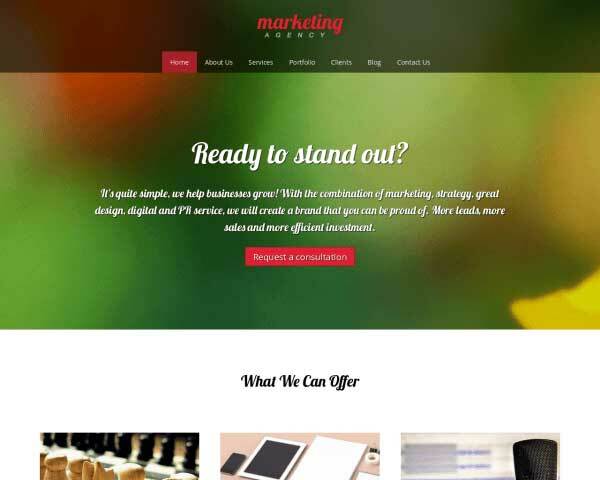 Designed with useful business features for all types of seo experts, the SEO Company WordPress Theme is an ideal website template for any seo company business. 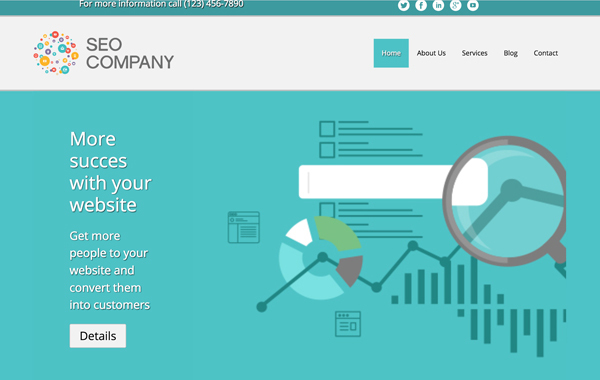 We've made it easy to build a fun, comprehensive website chock full of helpful information and resources for your clients, even if web design isn't your specialty. All that's missing is your own personalized text and photos. Customizing the colors and fonts can be done without any coding at all using our unique, intuitive front-end editing tool. Drag and drop widgets make it simple to rearrange page layouts to suit your needs. 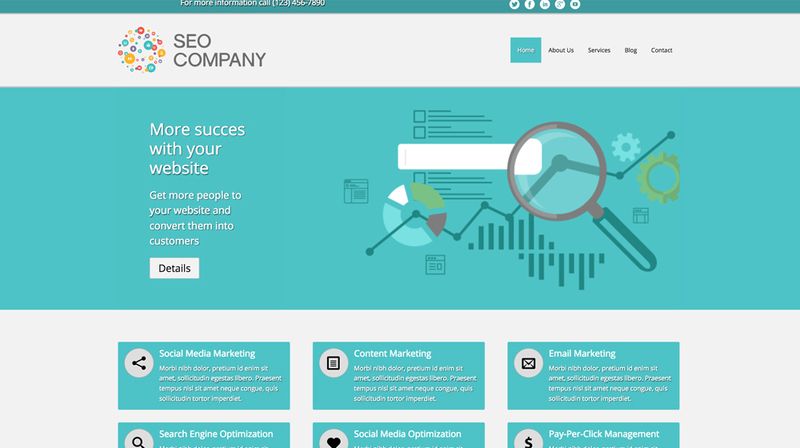 An affordable, responsive website is within your reach with the SEO Company WordPress Theme. 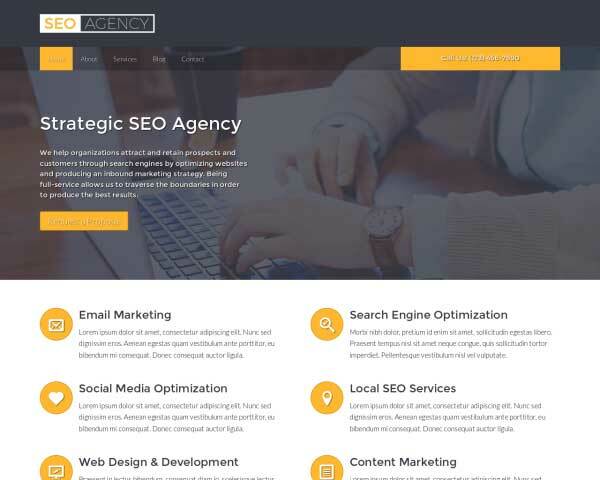 Although WordPress has moved away from being a straight blogging platform, the SEO Company WordPress Theme couldn't do without these powerful features. 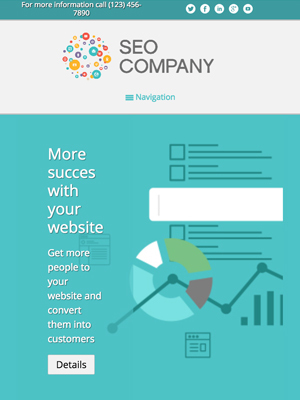 The Contact page of this SEO Company WordPress Theme goes above and beyond with an integrated Google map, route planner and a customizable contact form. 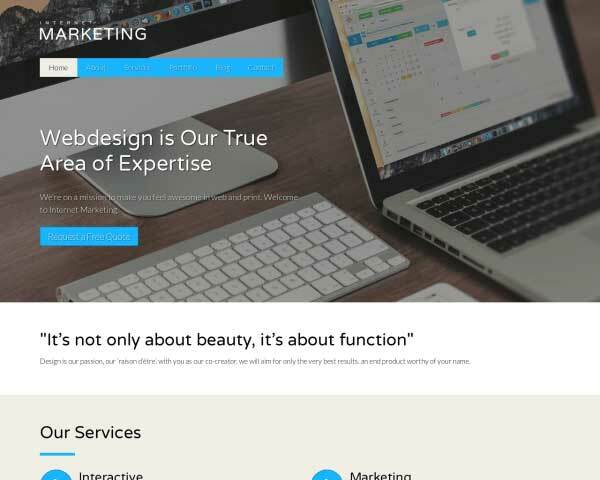 With the SEO Company WordPress Theme you have a quality tool to create elegant and appealing service detail pages with above-average layout and styling. 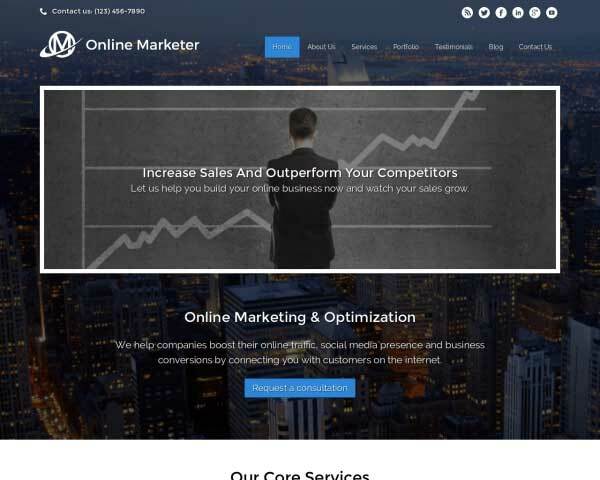 Offer an attractive overview of your services on the homepage of the SEO Company WordPress Theme, along with quick navigation to important pages on your website. As more and more people use handheld devices to browse online, you want to be sure that the mobile version of your portfolio website treats visitors to the same professional design, dazzling full-width image galleries and simple navigation of the desktop version. 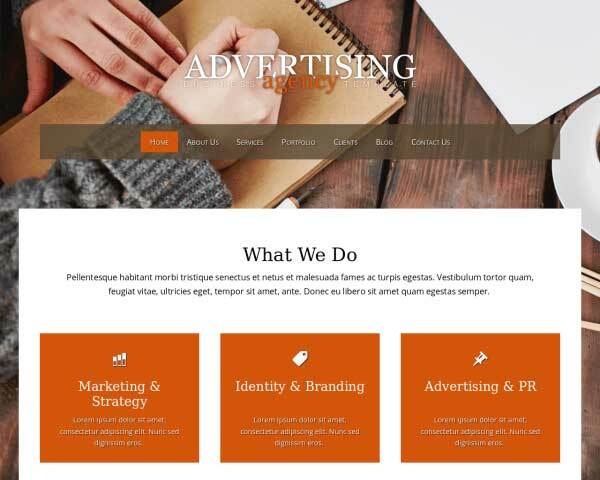 No extra plugins or tedious coding are required — right out of the box, the responsive SEO Company WordPress Theme will automatically adjust the layout of your content to display beautifully on any size screen. 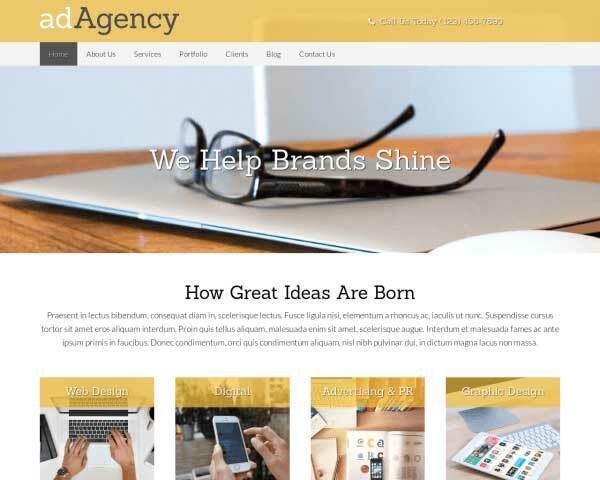 This mobile-optimized website template helps you build an online portfolio you can be proud of even when viewed on smartphones and tablets.